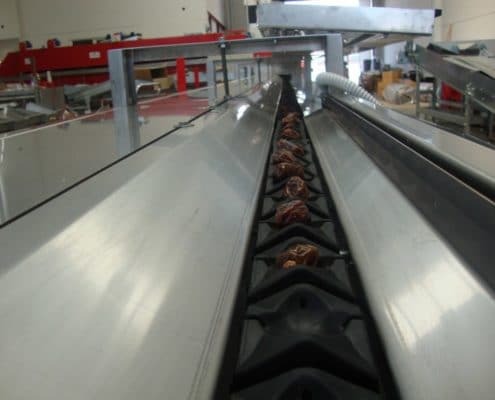 Dates grading line | Dates sorting machine. 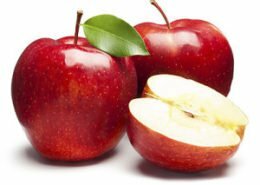 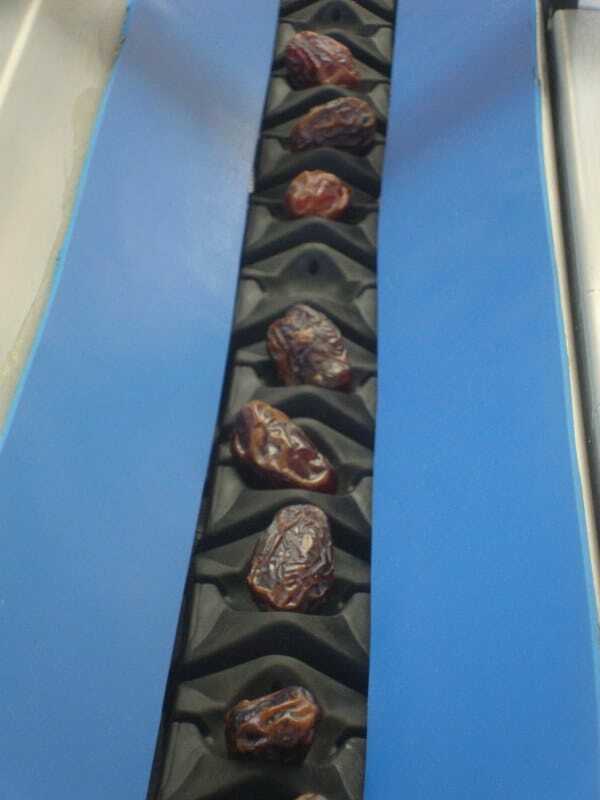 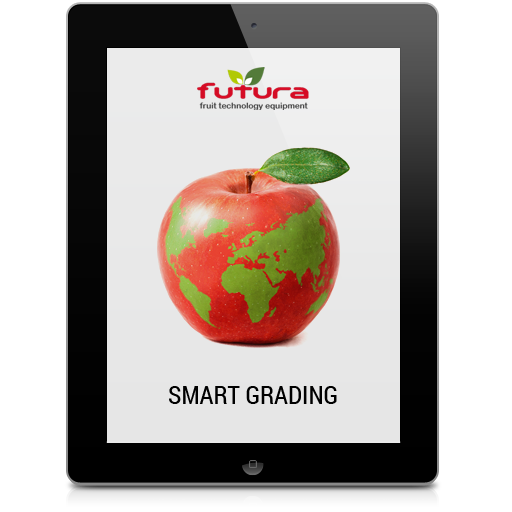 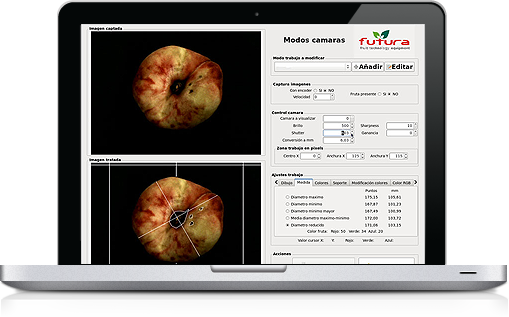 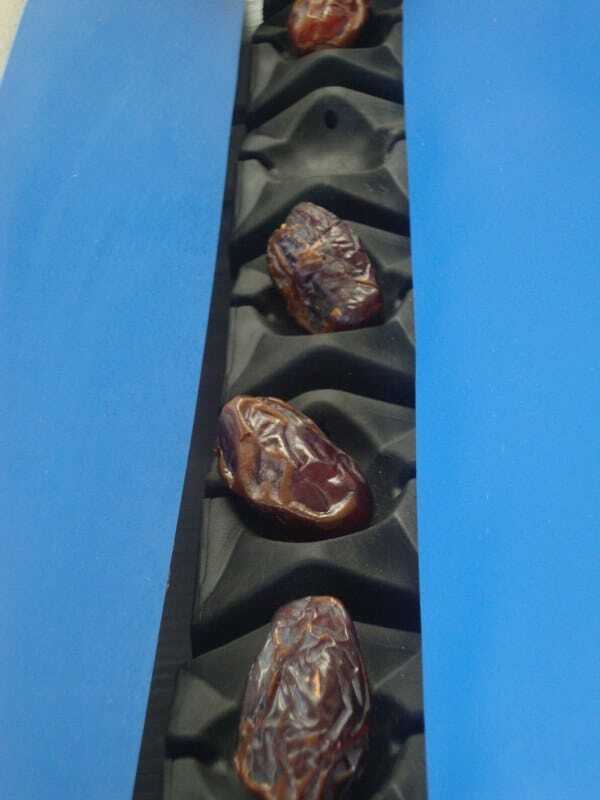 FUTURA takes care of the whole date grading process, so as to preserve the quality of your fruit. 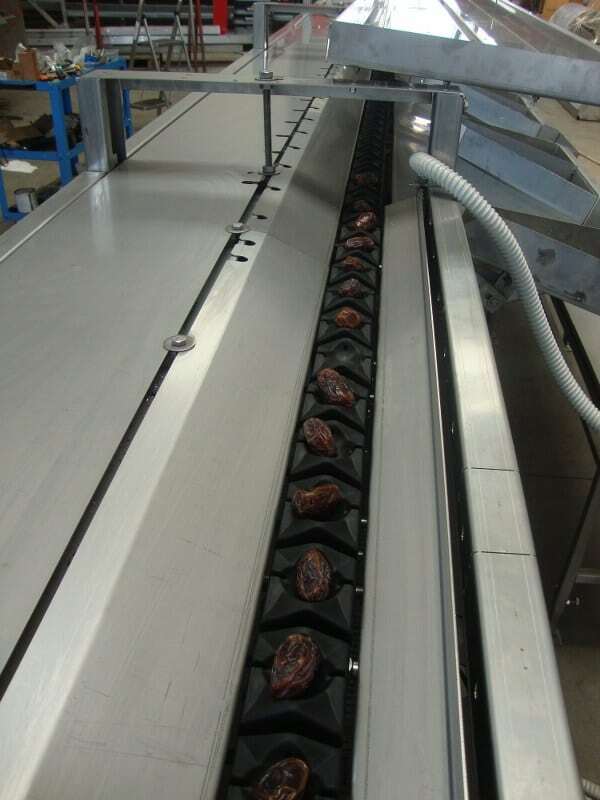 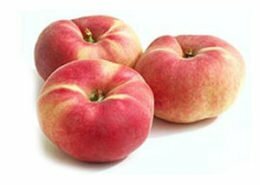 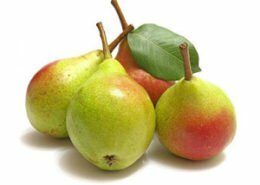 In order to fit the small size and irregular shape of these fruits, we have developed a specific trolley, pitch 76 Small. 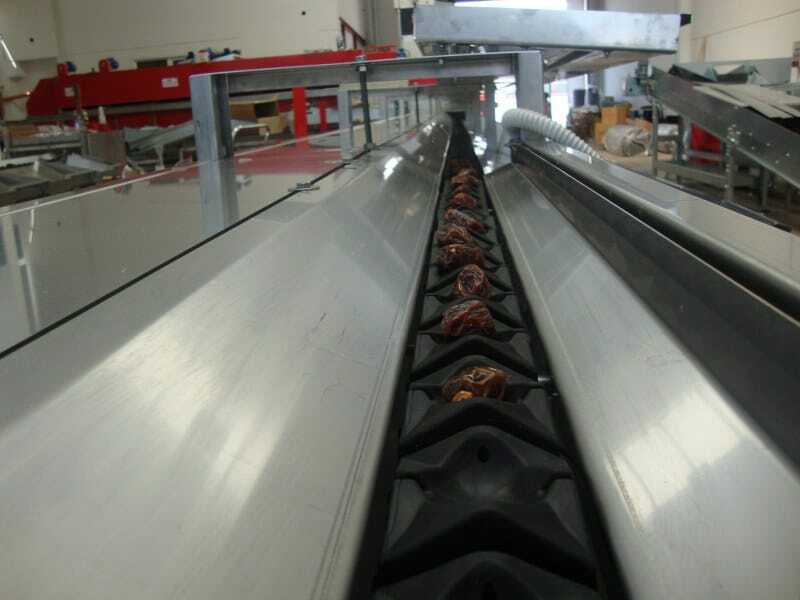 It is designed to prevent the overloading of more than one fruit on the same trolley and to maximize the line filling. 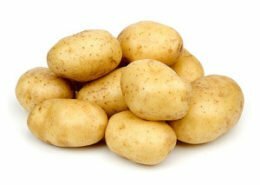 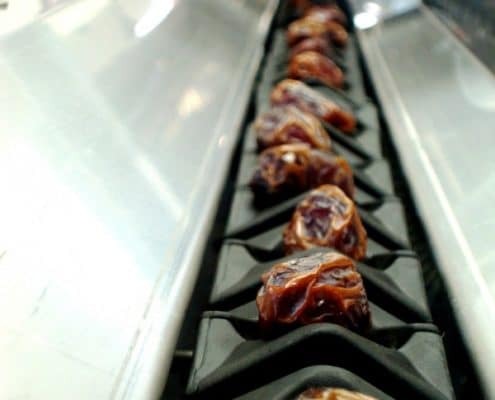 This particular trolley guarantees a perfect singulation of your dates and, as a consequence, a more efficient production. 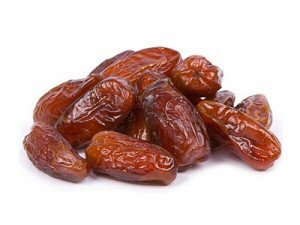 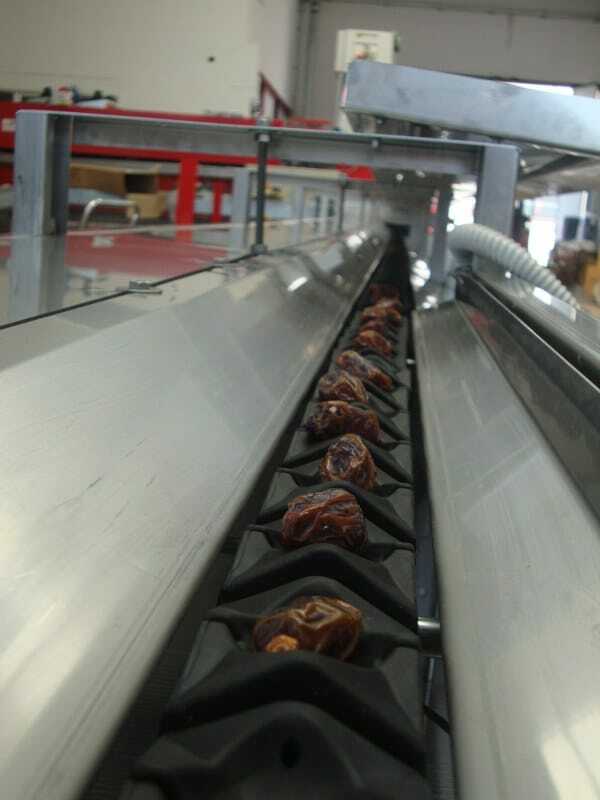 The sorting options for dates are weight, size and colour. 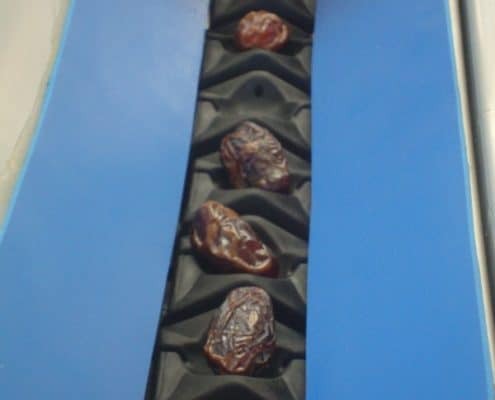 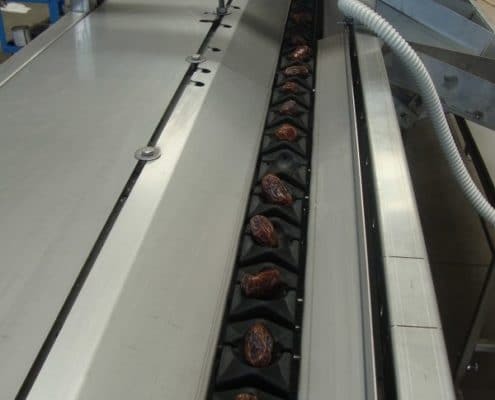 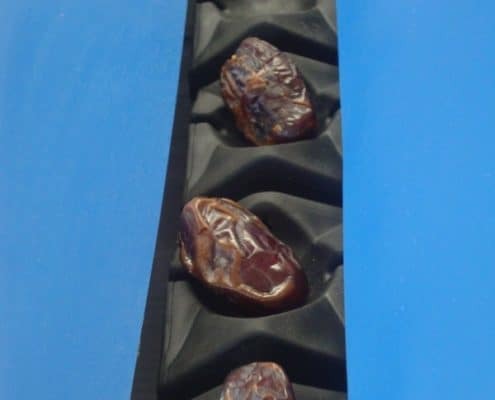 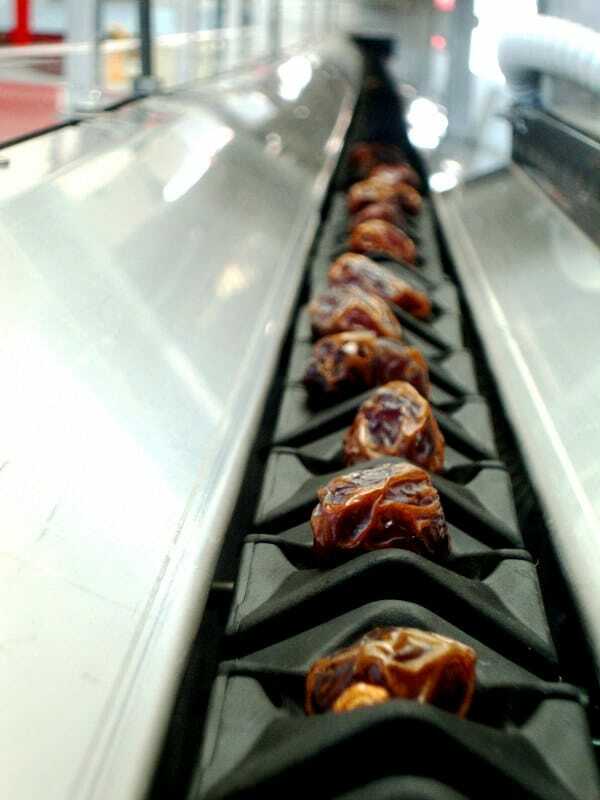 Depending on production capacity and type of packaging, your dates can be graded and sorted using Logika Central Discharge or Logical Lateral Discharge. 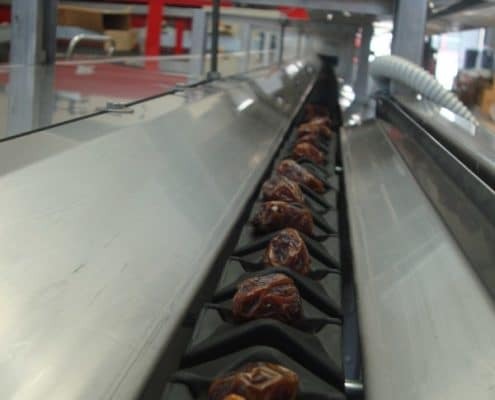 Dates Sorting, Grading, Packing and Processing Machines.